Theatre Critics Association. Then, of course, there was the Academy Award-winning 1968 film version that brought the musical’s joys to movie-lovers around the world. 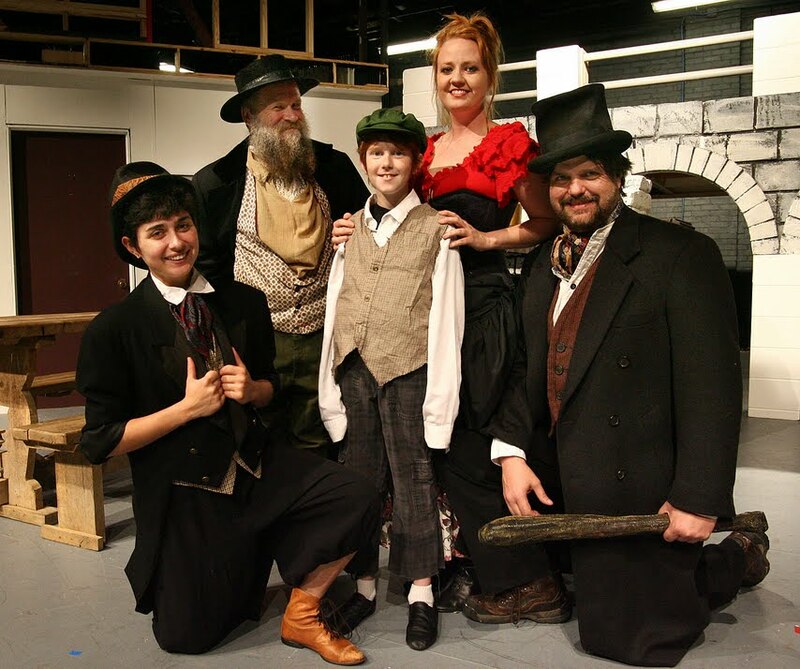 Now, right here in Montgomery County, the fun continues with a fine new stage production from the Crighton Players at the Owen Theatre in Conroe. well-guided by Musical Director, Dave Englert, who was also missing from the program’s listed Production Staff, though his name did appear among the Cast Bios. I was particularly struck by the fine violin work that accompanied one of the show’s most sensational performances, the solo of “Reviewing the Situation,” so brilliantly performed by B.B. 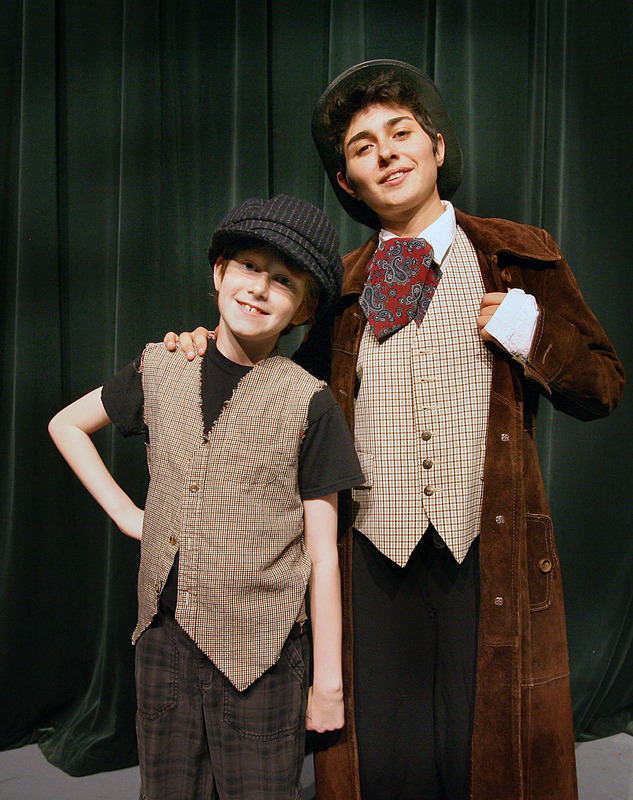 von Billy in his role as the conniving old crook, Fagin, who specializes in training young boys to be thieves. His memorable performance in the show would have worked well on Broadway. Many wonderful songs accompany Oliver on the twists and turns of his journey from the workhouse to brief employment with the undertaker (Adam Marrow as Mr. Sowberry, Terry Woods as Mrs. Sowberry), on to Fagin’s den of thieves, and ultimately to the fine home of kindly Mr. Brownlow (Don Hampton), and his sweet housekeeper, Mrs. Bedwin (Kristi Nicholson). connection with the audience. Dance Choreographer, Sherry Rozas, Combat Choreographer, Travis Bryant, and Dance Captains, Rachel Ford & Daniel Miller deserve credit for organizing so many movements so well. occasions was a great distraction to both audience and performers. Body microphones crackled with static and speaker systems sometimes went in and out. The Crighton Players are reaching for excellence on so many levels, and in the opinion of this critic this issue must be a top priority for quick resolution. Thankfully the problems seemed to abate during a thrilling London Bridge scene near the end of the play that was quite well-staged with fine lighting (Chris Johnson), and an impressively misty London fog. I can’t give away the outcome. For that you will have to buy a ticket. OLIVER! Continues through June 4th at the Owen Theatre, 225 Metcalf in Conroe, Texas, with performances Friday & Saturday evenings at 8 pm and 2 pm matinees on Sundays May 22nd and 29th. For tickets and information call 936-539-4090 or visit the website at www.crightonplayers.org . This entry was posted in Miscellaneous Reviews, The Courier Columns, Theater Reviews and tagged Broadway, Conroe, Entertainment, Houston, music, musicals, Reviews, Texas, theatre. Bookmark the permalink. We were there on the opening night and everything worked great. Wonderful performance by everyone concerned. Of course Brandon Brown is my Grandson and I am a little partial. The set was nice, the Artful Dodger was wonderful, I enjoyed it for the most part…the boy playing Oliver we should definitely hear more from!